Didier was one of my best friend, he was teacher for kids in Bukavu RDC. In 1987 he wrote for them a book describing the history of Earth from the origin to prehistory. DPP Observatory is a private observatory, located in Lesve (Belgium), a small village close to Namur. Astronomy has been a hobby for over 25 years. Since 2003, I became more involved in Variable star observation. To operate a CCD camera, I decided to build a small observatory in the backyard. The fiberglass observatory dome "Home-Dome" is seated on brick and wood structure. I have also written LesvePhotometry and PeriodicVSOplanner to help Variable Star Observers. LesvePhotometry is an automatic photometry software very useful for time-series reduction. LesvePhotometry versions from (V 1.2.0.41) retrieves UCAC4 catalog information. It is in a Lesve orchad the last meteorite fell in Belgium on April 12th,1896 and failed to kill the son of owner. 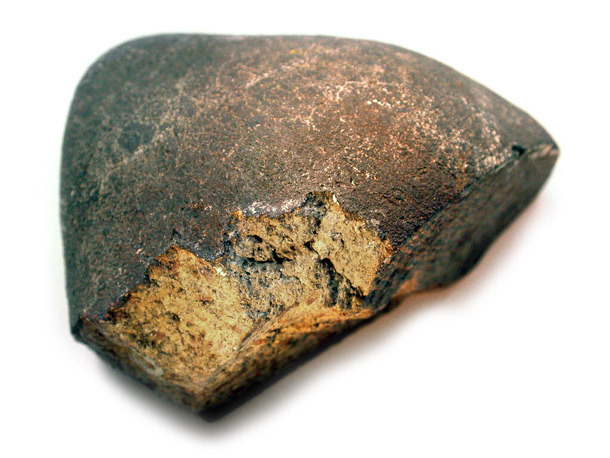 Meteorite was a chondrite with olivine and weighting 2 kg. This fragment of the meteorite is part of The Royal Belgian Institute of Natural Sciences collection.